Chairman of the provincial people’s committee Dinh Van Thu has sent the proposal to the government office. According to Thu, over past years, Cua Dai Beach has been severely eroded which is partially attributed to storms and tropical depressions. This has hit operations of coastal tourism services. Following the government’s instruction, the province has been trying to restore the beach by soft dykes, but the situation has not improved considerably. The province has also called on the Ministry of Agriculture and Rural Development, concerned agencies as well as international organisations for joining hands to seek measures. At a recent meeting with the province, experts from the Netherlands suggested building some artificial islands by Cua Dai Beach which is not only aimed for tourism development but also to reduce strong winds and waves that attack the beach. The project should use private funding. However, provincial authorities said that the project would need more time for careful consideration due to supposed security concerns; the artificial islands would also affect Cu Lao Cham Marine Park. 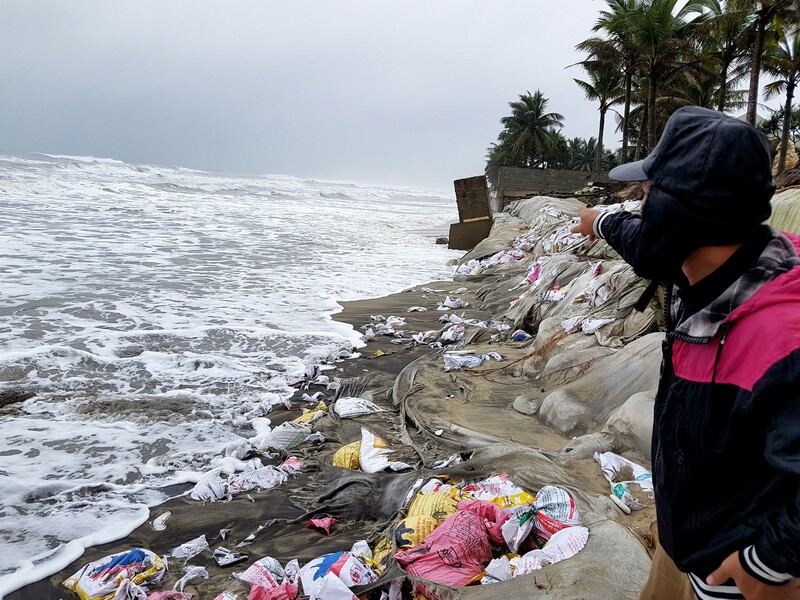 So the urgent need is how to deal with the erosion of the beach first, which would require an investment of VND700 billion.